FAQ | Wedding Friends | Wedding Cake Gallery During your wedding cake consultation, you will have the chance to sample some of our most popular cakes and cake fillings and also discuss the theme and vision of your wedding to help create the cake of your dreams. We will provide you with ideas and options for designs, colors, and themes, while also giving you price options to fit within your budget. Please feel free to bring in photos, or magazine clippings to match or draw inspiration from. Since our bakery is not very large, we ask that you keep the tasting appointment to a maximum of three people. Please feel free to email one of our wedding cake consultants wedding@freeportbakery.com with any questions about pricing or designs. 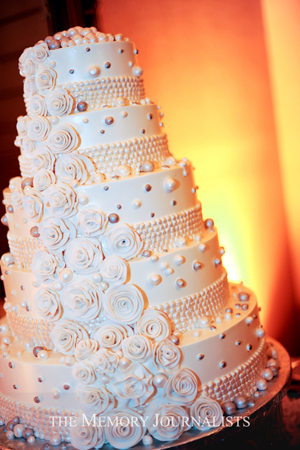 If you are interested in scheduling a cake tasting appointment please Click Here.